Allen presented Trial By Jury at the Merion Cricket Club on May 4th, 1901. 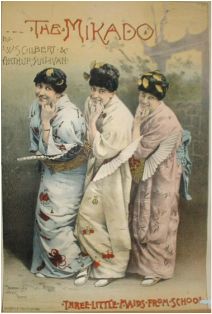 The production was such a success that the three original conspirators were moved to form a permanent organization, then known as The Savoy Operas. Members were again solicited and Savoy performances of the double bill Trial By Jury and The Sorcerer were given on December 6th and 7th, 1901 at St. James Hall, located at 38th and Market Streets, Philadelphia. 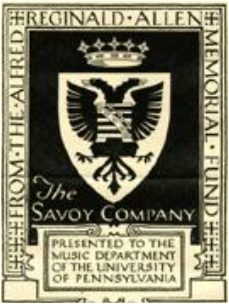 Two weeks later on December 21, 1901 Savoy gave its first benefit performance at the Manheim (Germantown) Cricket Club for Germantown Hospital and reprised the “double bill.” A unique and noble tradition was born. These performances were not only an artistic success but a societal success as well since Savoy’s membership was made up of many prominent and well-known Philadelphia families. ”The Richest and Most Fashionable Opera Company in the World” bannered the Philadelphia Press. “Leaders in Philadelphia Society Unite to Give Public Performance”—evidently a combination of Society and Talent that proved irresistible! 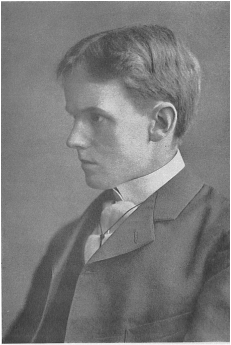 In May 1902 Savoy performed H.M.S. Pinafore conducted by Allen at the Broad Street Theatre (on Broad below Locust). Having to choose between Savoy and his medical work, regretfully Allen resigned his conductorship in late November 1902. Members, having been notified of this unexpected loss, unanimously voted to continue the society-musical association. The Savoy Company was organized formally on December 20, 1902. 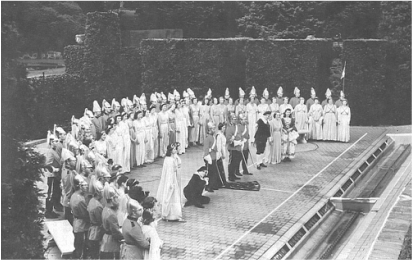 In 1916, Mr. Pierre S. du Pont invited The Savoy Company to perform Patience at his personal estate of Longwood Gardens onstage of the Open Air Theatre. In 1923 regular pilgrimages commenced via private train to Longwood Gardens. Savoy performed at the Academy of Music, Philadelphia (1925-2011). Since the beginning The Savoy Company has staged annual G&S performances to support local charitable organizations. The 2016 beneficiary will be CAPA, the Philadelphia High School for Creative and Performing Arts. Every year The Savoy Company donates a portion of the proceeds from our performances to the Alfred Reginald Allen Memorial Fund of the University of Pennsylvania. Established by Savoy in 1921 in memory of our founder, the fund supports the acquisition of books and scores for the University’s Otto E. Albrecht Music Library. For those interested in learning more about the history of The Savoy Company, the University of Pennsylvania Libraries maintain our archives, and are featuring a special exhibit through 2016 focused on the nearly 115 years of Savoy history. The exhibit, called “Let Every Heart Be Filled with Joy,” traces the history of The Savoy Company, beginning with its founding in 1901 by Penn alumnus Alfred Reginald Allen. Featured are posters, programs, and photographs from four representative productions: The Yeomen of the Guard (1908); Utopia Limited, or The Flowers of Progress (1936); The Pirates of Penzance (1967); and H.M.S. Pinafore, or The Lass That Loved a Sailor (1997). More information on this exhibit can be found here.